GAA Memorandum of Understanding – The Fishin' Co. In 2016, The Fishin’ Company signed a Memorandum of Understanding with the Global Aquaculture Alliance (GAA) in an effort to increase the supply of 4 Star BAP-certified product available to its customers. The MoU utilizes the newly introduced iBAP program that allows groups of facilities to be developed and improved to a level that meets the standards of the BAP. The facilities in the iBAP program are all located on the mainland in South China or on the island of Hainan. There are currently over 75 facilities in the iBAP program, including processing plants, farms, hatcheries, and feed mills. The Fishin’ Company has committed financial resources and personnel to provide ongoing support to the facilities enrolled in the program. 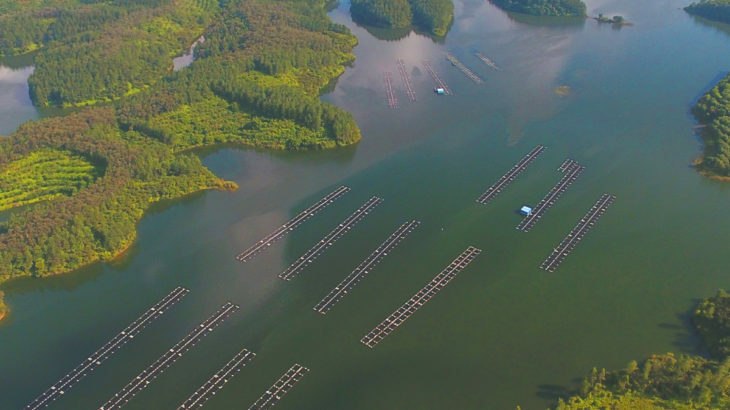 In addition, The Fishin’ Company is hosting regular farmer training camps, which teach farmers practices and techniques for raising fish in a responsible manner, including minimizing the use of antibiotics, preventing disease, maximizing yields and the number of harvests per year. Introducing these practices along with the manual of Good Farming Practices has allowed farmers to understand the importance of 3rd party certification. For those iBAP facilities that become certified and remain certified, The Fishin’ Company has committed business contracts and commercial benefits. The ultimate goal is that farmers and facility owners begin to see that there is a financial benefit to conducting business in a sustainable and responsible manner. This effort would not be possible without the steadfast commitment of partners like the GAA, SFP, the Hainan Sustainability Alliance, and IDH.